A simple to make and tasty evening teatime snack. 1. Peel and boil the banana until soft. 3. Dip the bread slices in some water and squeeze dry. 4. Combine the mashed banana, bread, cauliflower, mango powder, chilli powder and salt in a bowl. 6. Shape into small round patties. 8. Fry the prepared patties until golden brown. 10. Serve hot with sauce or chutney. 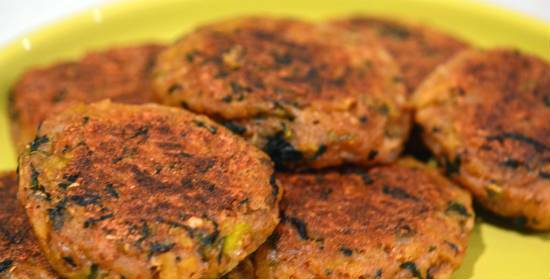 Feel free to comment or share your thoughts on this Raw Banana Tikki Recipe from Awesome Cuisine.